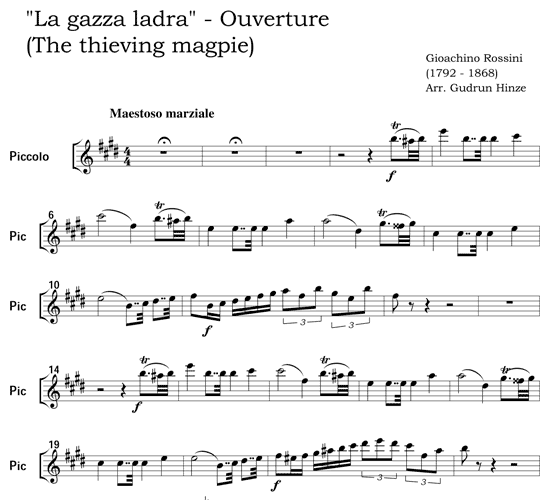 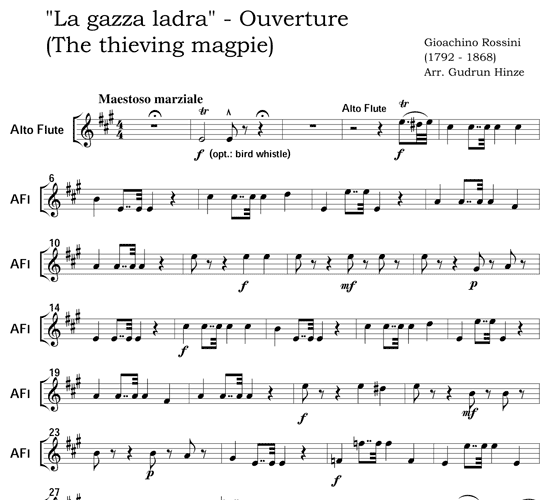 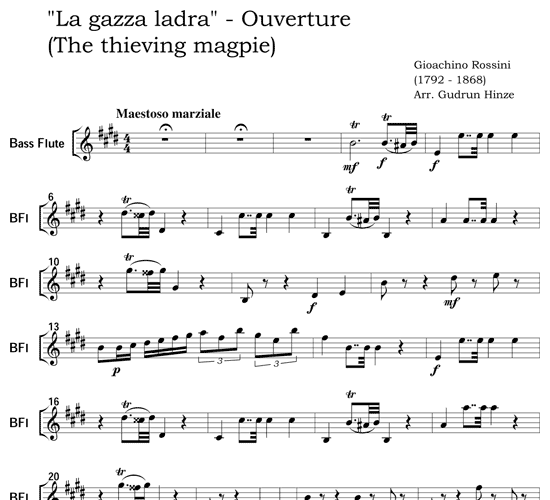 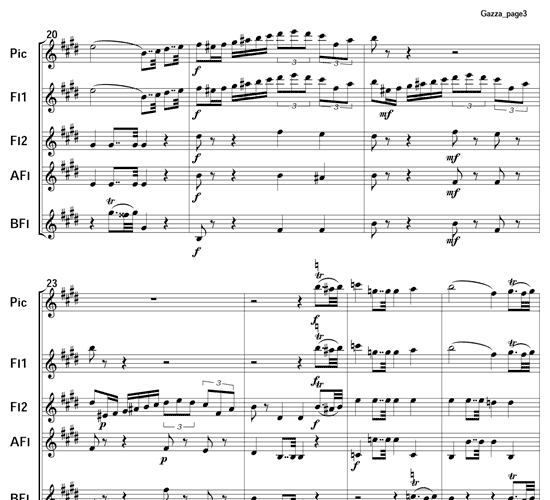 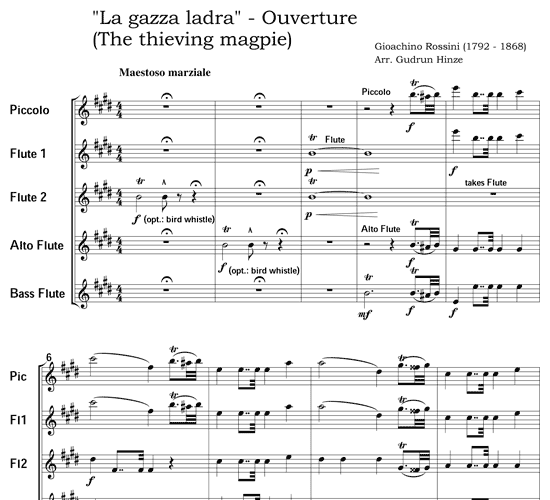 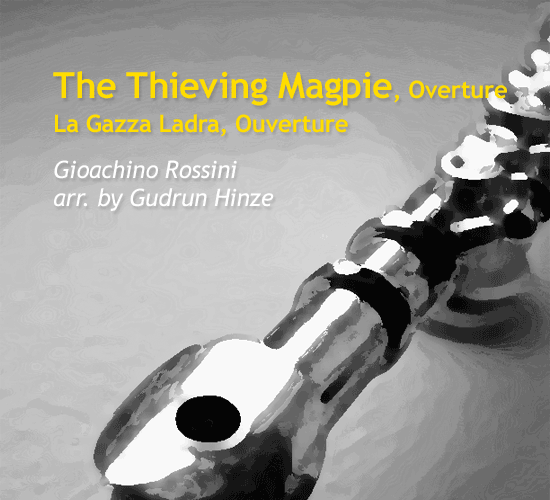 The overture​ to​ “La gazza ladra” is a very popular, festive piece of music in our time, even ​though the whole opera by Rossini is hardly ever performed. 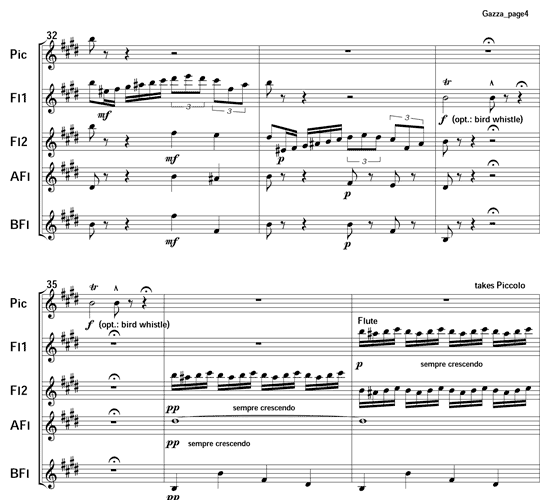 The first part is a festive march – the original opens with drum rolls​ of the High Court​, performed from both sides of the stage. 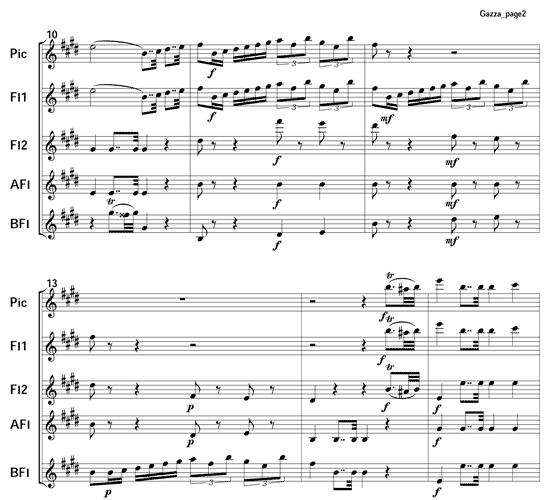 ​However, this arrangement features an introduction of a twittering water-filled bird whistle. 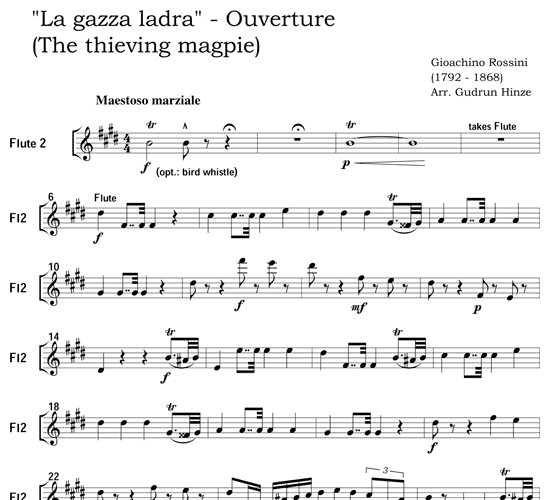 ​ ​As the whole piece deals with the ​clever magpie's ​quicksilver energy​, ​musical birdlike ​sounds ​are very appropriate. 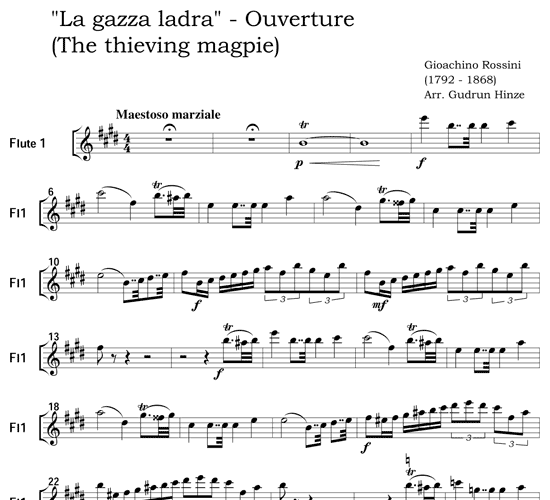 ​ If whistles​ are not available, flute trills will be effective​, ​or perhaps performers will pursue something else with triangle​s​ or other brilliant possibilit​i​es!​ The second ​section is an elegant ​Italian style waltz, including the well-known ​p​iccolo solo.